In our family, the “ornament of the year” is a big thing! I’ve been giving each kid an ornament every year since they were babies, and I try to make each ornament commemorate a big event, or a sports team or a special interest…something that captures that calendar year for the kids. Someday, when they have a Christmas Tree of their own, I’ll give them all their ornaments to get them started on a collection of their own. As the kids have gotten older, and are traveling more with me and my husband, the “ornament of the year” has reflected a fun trip we have taken. 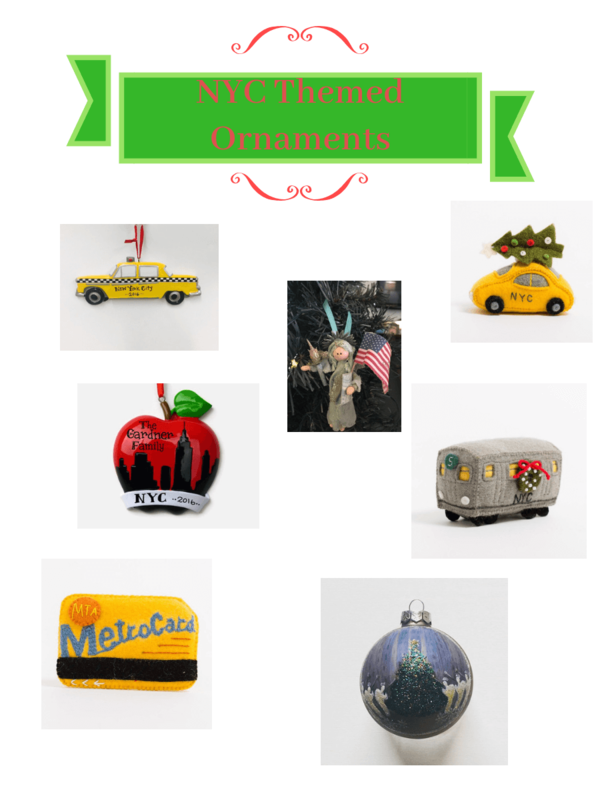 And today, I’m highlighting some of the CUTEST travel-themed ornaments I could find on Etsy. You might want to add to your family’s collection too!! If you aren’t familiar, Etsy is a marketplace where people around the world connect to buy & sell handmade & vintage goods. Etsy offers a meaningful & personal shopping experience to consumers & gives independent, creative businesses around the world the tools to be successful. The Curious Cowgirl is an Affiliate for Etsy, and may receive a commission for any purchases made through this post, which will not impact your price, but will help support my Blog…so thank you! I have written a lot about travel in Texas…this post and this post are two of my favorites! From Austin to Dallas, Ft. Worth to Galveston to Jacksonville, there’s so much to see in my favorite state! Check out these darling Texas ornaments, y’all! What is the snack that all visitors to Texas must try? Guacamole of course….and this avocado ornament is the cutest thing ever. 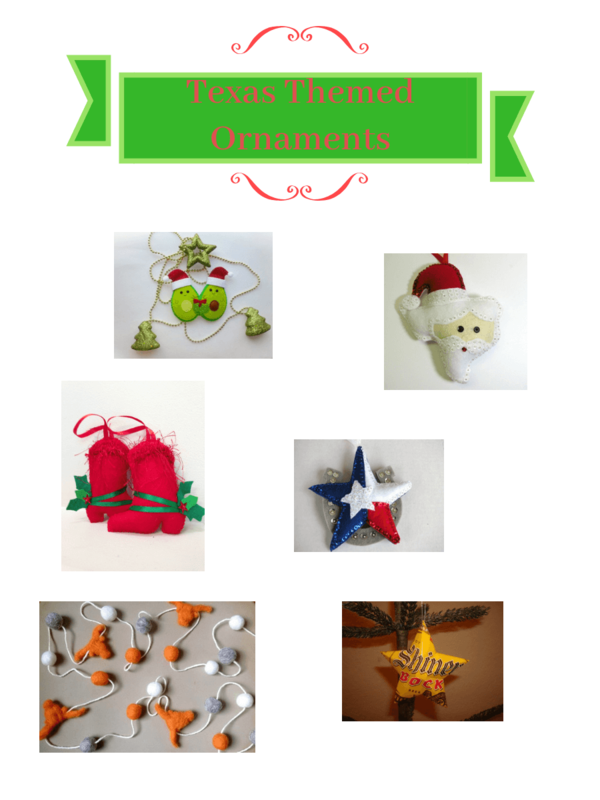 Of course, anything in the shape of Texas is awesome, so how about the Santa-Texas ornament…love!!! And what could be more iconic than a pair of Cowboy Boots? Love these felted red boot ornaments! I also love the Texas Star ornament! And, I just wouldn’t feel right if I didn’t give a nod to the University of Texas. This UT Garland is so so cute!!! Another fun ornament is the Shiner beer star.…made from a beer can…brewed in Texas of course! Oh New York….I love you. 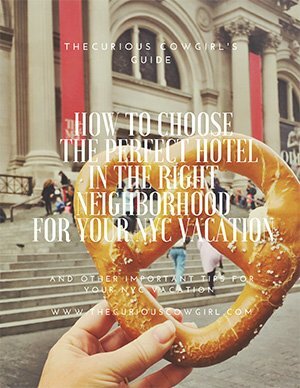 I write about The Big Apple ALL the time, and have several guides for sale in my shop to help my readers better enjoy their trip to NYC! I found some of the CUTEST NYC ornaments on Etsy! The iconic yellow cab, personalized…LOVE! 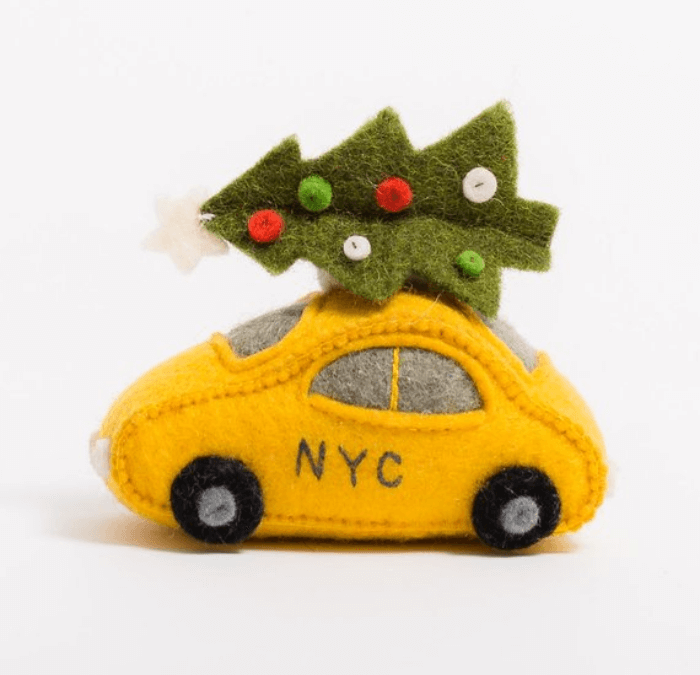 I adore the felted yellow cab version, complete with a tree on top! So cute! Lady Liberty is synonymous with NYC, and the Fairy Lady Liberty is so sweet! And you know you need a Big Apple ornament like this! Love that it can be personalized! And, y’all know what an advocate I am of taking the subway. How adorable is this felt subway car ornament? Ditto for the Metro card ornament. So in love with these cute NYC mementos! And of course the Rockefeller Christmas Tree. 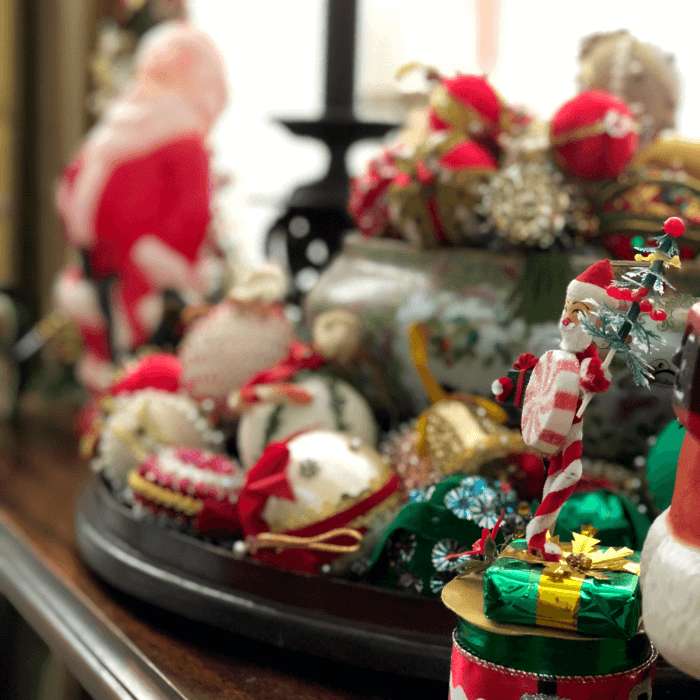 This hand-painted ornament is gorgeous! 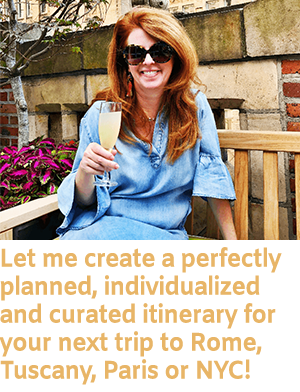 My travels in 2018 took me and my family to both Rome and Paris, and I have ordered travel-themed ornaments for my kids (shhhhh). 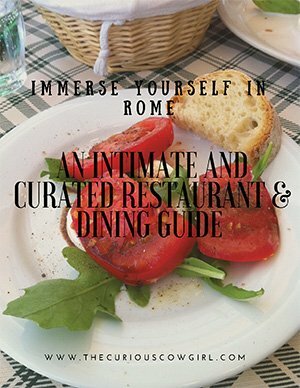 If you have traveled to Italy, how about a personalized pizza slice? So cute! I also love the Rome ornament, complete with columns! And, the Italian Flag is another darling idea! Paris? Oui! I love the glass ball with the Eiffel Tower. And I also love the Eiffel Tower with Fireworks ornament! And what about the Eiffel Tower with Three French Hens? I can’t think of anything cuter! And of course, for all you travelers who have been around the globe, you MUST get this suitcase ornament! I’ve already ordered mine for 2018! 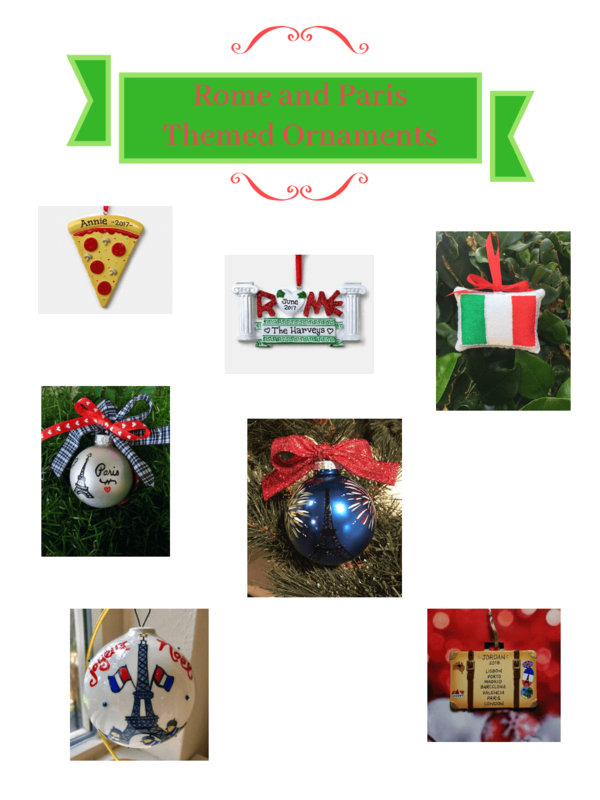 If you love the idea of “an ornament of the year” or just simply memorializing travel on your Christmas tree, there’s no rule that says you can’t “back date” an ornament…and Etsy is the perfect place to find the perfect ornament! Merry Christmas and Happy Holidays y’all! PC: All images came from Etsy, and are credited to the various vendors who have created such adorable ornaments! These are so cute, what a great idea…. Love reading this blog. Wish I was traveling with you.